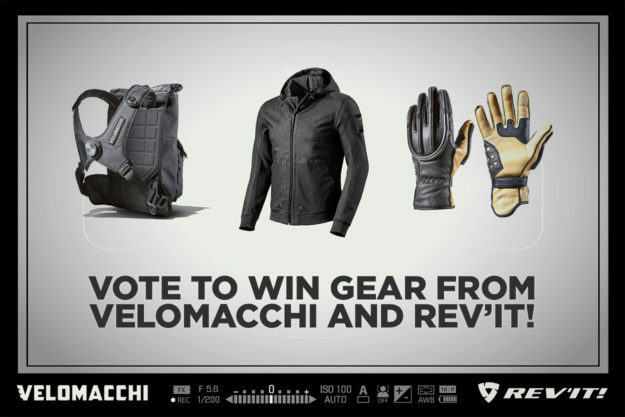 UPDATE: COMPETITION CLOSED It takes just a couple of minutes to vote for the best images in our photography competition, and you could win high-end gear from Velomacchi and REV’IT! 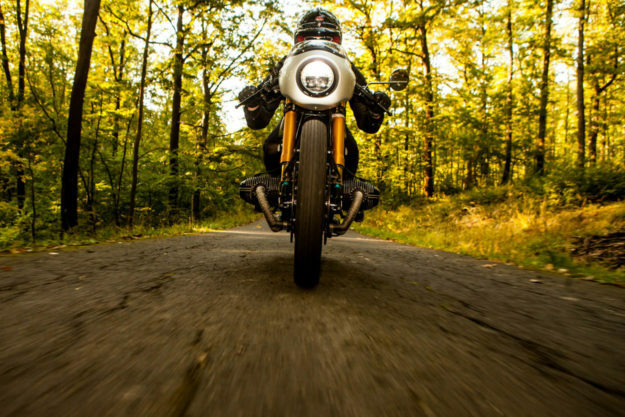 We’ve picked out the ten best professional and privateer shots sent in by photographers over the past couple of weeks, and now it’s our readers’ chance to win gear. 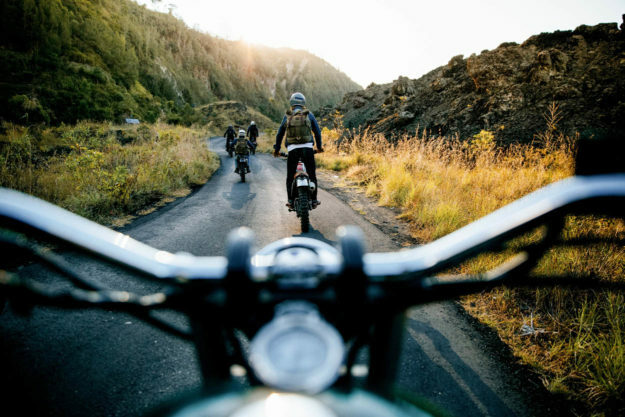 Velomacchi 40L backpack, REV’IT! Blake jacket, Velomacchi speedway gloves. Total Value: $1008. Velomacchi Roll-Top Backpack 28L, REV’IT! Stealth Hoody, Velomacchi Speedway Tool Roll. Total Value: $754. Velomacchi Giro Backpack 35L, REV’IT! Bison Overshirt, Velomacchi Impact Laptop Sleeve Lg (13”-15”). Total Value: $538. If you’re one of our winners and you’d prefer a women’s jacket or top from the REV’IT! range, you’ll be able to choose a substitute up to the same value as the listed prizes. So head over to the voting page now, and pick out your top shots. Voting closes on November 27, 2017 and we’ll announce the winners via our social media accounts on November 30. Good luck!